APR 11 (SpillingTheBeans)–Arabica coffee prices ended the week up over 20 percent and hit fresh 2-year highs on Thursday when active May futures reached $2.07 per pound and July futures hit $2.10/lb after an impressive week-long rally at the ICE exchange in New York. More importantly, even though prices eased a bit on Friday, futures stayed above the technically supportive psychological barrier of $2/lb, with May futures settling down 4.90/lb $201.20/lb on April 11th and July futures settling down 4.85 cents per pound $203.55/lb. 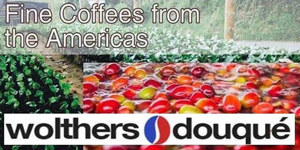 APR 7 (SpillingTheBeans)–-It’s been a crazy couple of months for the Arabica futures market and with coffee prices strengthening 100 percent in a little over two months since the beginning of the year, it’s no wonder that there has been many days with heavy profit taking in the market as well. This was easily predictable. But the concerns over the extend of the damage to the new 2014-15 harvest in Brazil, the world’s largest coffee growing country, are for real and the impact of the drought continues to be severe. Even if the rains that arrived to parts of the Brazilian coffee producing belt in late March did ease any worsening of the damage, the rains were too little too late to impede the very severe damage already done. This is why SpillingTheBeans already in early March was confident to release a preliminary adjusted forecast for the next Brazilian coffee crop to produce between 40 million and 45 million 60-kilogram bags. 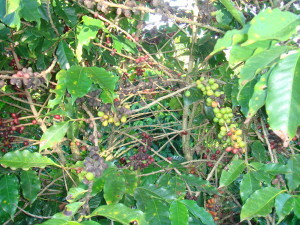 A growing number of industry organizations and trade analysts have since them come along and supported this view, with the last to join in this range is Brazil’s National Coffee Council, that now has lowered its forecast for the 2014-15 crop to between 40.1M and 43.3M bags, from its last figure of 44 million bags. This Monday, active May Arabica futures are up 6.10 cents per pound in mid-morning trade at $191.10/lb as fears continue to linger in the market over just how bad the damage will be in Brazil. Most analysts agree at this point that there is sufficient technical support in the market to see coffee prices stay in a range of $1.60/lb to $1.80/lb for now with the occasional spikes in the market of up to, or over $2/lb. This price range is very volatile and can change in either direction depending on whatever more news come from Brazil. If these forecasts are confirmed, the current situation in Brazil could provide the trigger for the biggest rally in coffee prices not just in years, but in history. But more exact information won’t materialize until we move into May and start getting more data from the field as to the share of black and broken beans in the first deliveries of freshly picked cherries to wet mills, along with more exact data on the average reduction in bean size. 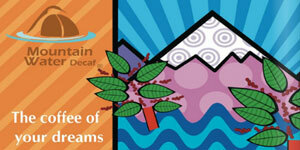 •Prices for Arabica coffee move higher as concerns about dry weather in Brazil mount. 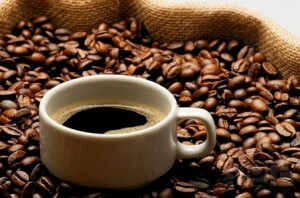 •Brazil’s National Coffee Council lowered its forecast for this season’s harvest to 40.1M-43.3M bags from 44M bags. •It’s not sure bet that Starbucks (SBUX -1.3%) will pass on any sustained price increase to consumers this year. The company reportedly lowered prices at some of its stores last week in a move that might have been a response to McDonald’s free coffee week. CEO Howard Schultz has also been vocal about holding off on price increases. *May Arabica futures registered another strong performance on Thursday, surging almost 8 cents in mid-session before settling up 6.25 cents per pound $206.10/lb on April 10th at the ICE exchange in New York. More forward July Arabica futures closed up 6.30 cents per pound at $208.40/lb after reaching an intra-day high of $210.00/lb. *Active May Arabica futures closed up 3.35 cents per pound at $199.85/lb on April 9th at the ICE exchange in New York. 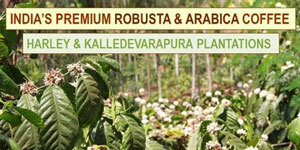 More forward July Arabica futures closed up 3.40 cents per pound at $202.10/lb. 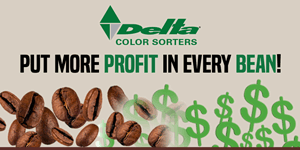 *May Arabica futures surged almost 10 cents on Tuesday before profit taking set in and drove prices down from the intra-day high of $202.80/lb. Active May futures, however, extended gains by 3.15 cents per pound to close at $196.50/lb on April 8th at the ICE exchange in New York. More forward July Arabica futures also closed up 3.15 cents per pound at $198.70/lb after reaching an intra-day high of $205.00/lb. *Active May Arabica futures closed up 8.35 cents per pound at $193.35/lb on April 7th at the ICE exchange in New York. More forward July Arabica futures closed up 8.45 cents per pound at $195.55/lb. You have been accurate in coffee market forecast.I am following your blogs past 10 months.Thanks a lot and keep it up.